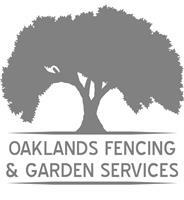 Oaklands Fencing & Garden Services - Fencing/Gates based in Leatherhead, Surrey. Oaklands Fencing & Garden Services is a family run business. First established in 2012, Oaklands comes with a wealth of expertise in all different aspects within the fencing and landscaping industry. Dorking, Leatherhead, Ashtead, Epsom, Ewell, Chessington, Reigate, Banstead, Betchworth, Brockham, Newdigate, Leigh, Capel, Ockley, Abinger, Surrey. Within 20 miles of Dorking, Surrey.